The Yoobao power bank gives you the best charging performance with its small and ergonomic design, so now you can just bring it along easily and it is easy to hold with its handy appearance. 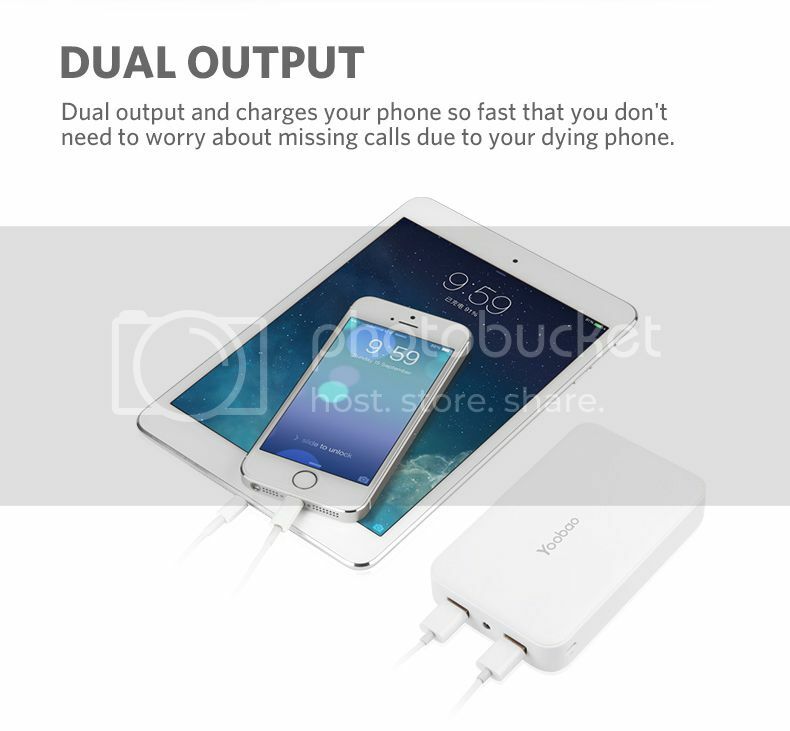 It comes with a dual output which allows you to charge so fast that you do not need to worry about missing calls. It is mainly designed to save your time of charging or being charged. 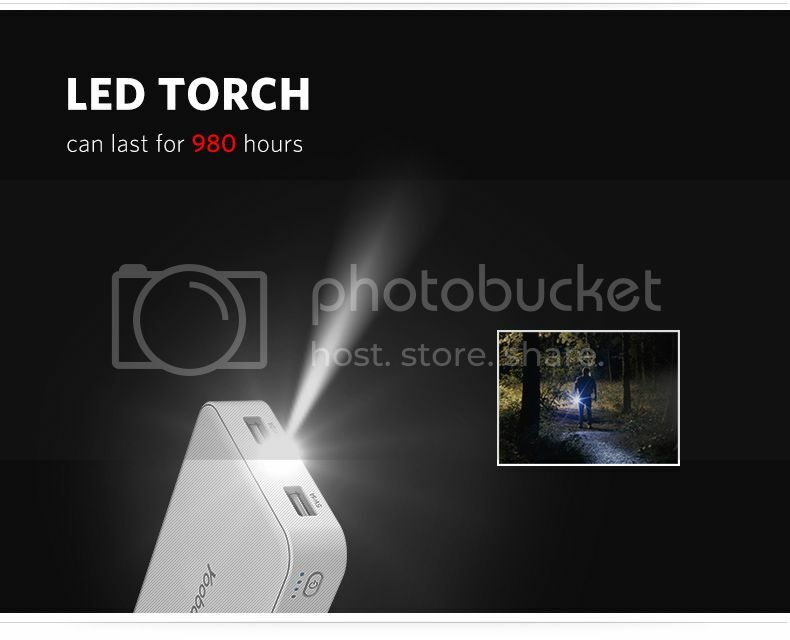 It comes with the built-in LED torch which brings you the convenience to use during the dark. It can be used up to 600 hours with the LED technology. 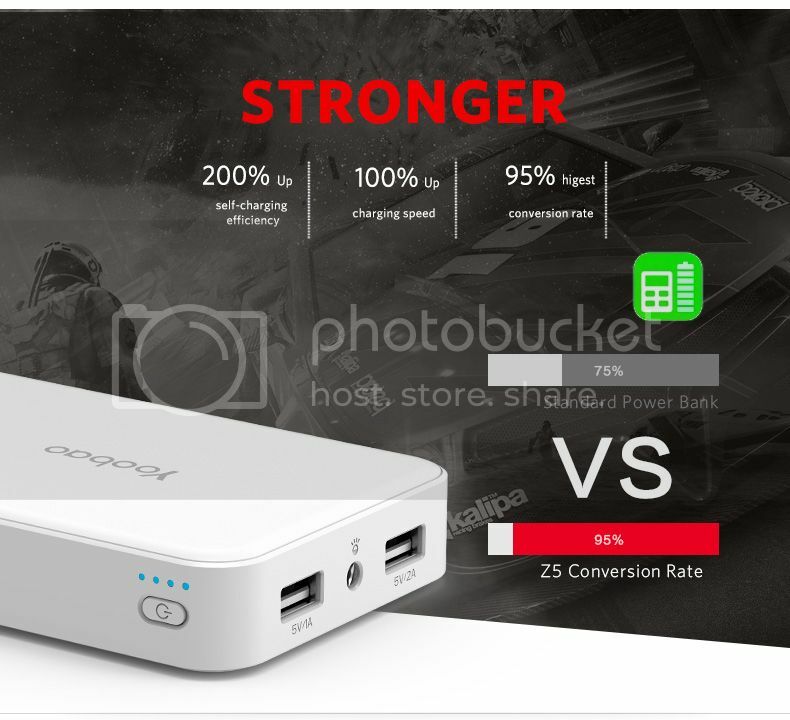 It also gives you a huge capacity of up to 10000mAh which is the best options for mobile phone owners. It allows you to charge up to 3 to 3.5 times of your smartphones.